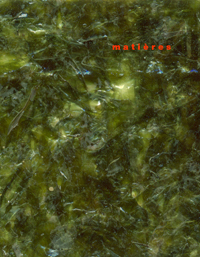 The latest issue of the journal matières, published by the Laboratory of Theory and History of the department Enac (natural, architectural and constructed environments) of the Epfl (Lausanne Polytechnic), was published in April, 2006. It appears in an English edition to reach readers beyond a French-speaking audience. Such a way of conceiving the development of an architectural project has its roots in the processes by which natural organisms grow, mineral or living, vegetable or animal. In modern, contemporary architecture, there is no lack of organic analogies, even if architects do not always attribute to them the same meanings, from Frank Lloyd Wright to Louis I. Kahn, from Le Corbusier to Aldo van Eych or Alison and Peter Smithson. This eighth edition of matières returns to these analogies, seeking to understand the energy involved in the conception of a project as a structure possessing its own logic and integrating the time factor into its equation. But this eighth issue of matières also formulates the hypothesis that such a way of conceiving an architectural project has a new life, notably because of the possibilities opened by the digital world. Actually, using certain programs, the form of a building can be understood no longer as a series of steps, with phases of “correction”, at each one of which it is necessary to make a choice. Today, the form of a building can be the result of a process, its final step; or even as a “freeze frame”1. Sometimes, the end result or stopping point of a process would be different if only a few parameters were different initially or modified later. These reasons explain the title of this issue of matières: Development. This way of conceiving a project seems without a doubt all the more radical when one imagines complex forms derived from algorithms, forms that have to be modelled to make them ‘constructible’, modelling for which computerised methods have not only become indispensable, but actually create possibilities. Through this lens, are we at a new era of relationship between architecture and engineering? The roles of the architect and the engineer now do more than just complement each other. The latter is not only the one who traditionally calculates the forms imagined by the former; he or she is also able to describe them, a condition which then makes possible their effective realisation. From this starting point, one asks the question of whether or not we are at a moment of paradigm shift, not only for the design of constructive structures, but more for that which is the conception of all complex forms, that is to say all forms that can only be described using Euclidian geometry. To explore these questions in more depth, we asked Jean-François Blassel, Harry Gugger and Yves Weinand to answer some questions that we presented them, the last on this list choosing not to respond point-by-point but instead choosing to state his position concerning the nature of his work and research. Having graduated in architecture from Paris, he was appointed to the School of Architecture in Paris-Belleville in 1981, his teaching activities covered three areas : the history of the theories of architectural composition, the relationships between 20th-century urban theories and doctrines and the transformations taking place in towns and cities, and the architectural project. His research work has led to a number of publications on the appreciation, history and theory of architecture and to contributions to monographs on contemporary architects. Since 1993, he has taken part in town planning competitions, has been the architect for four blocks of flats and a library in Paris and has carried out urban planning projects on the Ile d’Yeu. Since 1997 he has been Professor of the theory of architecture in the Epfl. There his research work has concentrated on the conditions necessary to arrive at theoretical terms in architecture and on the history of the theories of composition.